Below is an email interview I conducted with Father Donald H. Calloway, MIC, regarding his latest book, Champions of the Rosary. Thanks to Father Calloway for taking the time to answer my questions. Click here to order a copy of the book. 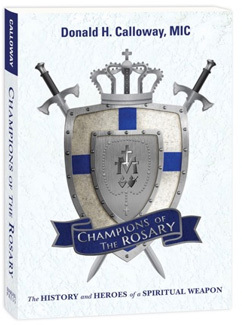 Champions of the Rosary is an impressive work on the powerful private devotion of the rosary. What inspired you to write the book? How long did it take to complete? Father Calloway: The world is fraught with immorality and darkness, and in need of being re-evangelized. The story of the rosary needs to be told again in all its wonder for the people of our times. People today need to know about the weapon capable of combating and conquering immorality and evil. I have written Champions of the Rosary for this purpose. Trust me: I know firsthand how the rosary can help a soul convert. Allow me to explain what the rosary did for me years ago. When I first encountered the rosary, I was a sick man – sick in my heart and sick in my soul. I had been living a very immoral life, to the point where I had to drop out of high school. I was worldly, hedonistic, and without hope of ever changing. My life was so out of control that at the age of 15, I was forcibly removed from the country of Japan due to my criminal activity. (My step-father was a naval officer at the time). After being deported from Japan, my life of crime and sin continued. I did two stints in drug rehabilitation centers in Pennsylvania and was thrown in jail in Louisiana as soon as I turned 18. By the age of 20, I was completely lost and at the point of taking my own life. I was about as far away from God as a person can get. In fact, I hated anything religious, especially anything to do with Jesus and the Catholic Church. But one night in 1992, I picked up a book that my parents, who had recently converted to Catholicism, had purchased and left on their bookshelf. The book was about a beautiful woman named Mary. It alleged that she was coming from a place called heaven with a message of love, mercy, and conversion. I had no idea who Mary was or what a Marian apparition was, but the message intrigued me, and I stayed up all night reading it. The contents of that book hit my foul soul like a divine two-by-four, so I went to a Catholic church the very next day to find a priest and get some answers. That visit was the first time I had ever been inside a Catholic Church. It was also the first time I encountered the rosary. It didn't take long before that little 20-minute prayer helped me fall madly in love with Jesus and Catholicism. The rosary helped me turn from a life of sin to a life of freedom. It gave me the courage to surrender my heart, mind, and soul completely to Jesus and his Church. The Virgin Mary and her rosary saved my life! Skip forward many years, and now I'm a Catholic priest. I continue to pray the rosary every day. It's my daily companion and is always in my pocket. I don't go anywhere without it. This is why I have such a passion for the rosary and why I spent almost three years doing the research and writing necessary for this book. I want everyone to know the power of the rosary! Could you share a few paragraphs of the book – one of your favorite excerpts, perhaps – with my readers? Father Calloway: In 1978, the rosary saved a young woman from being raped and killed by the infamous serial killer Ted Bundy. Responsible for at least 30 brutal and sadistic murders, Ted Bundy was eventually caught and executed by electric chair in 1989. Before his death, he testified to an aspect of one of his killing sprees in Florida that not even he understood. On the evening of January 15, 1978, Bundy broke into a sorority house at Florida State University in Tallahassee and brutally assaulted and killed several young women. However, one of the women in the house remained completely untouched, even though she had come face-to-face with the killer. When police arrived at the scene of the brutal murders, they found the young woman in a near catatonic state, unwilling to speak to anyone but a priest. A local priest, Monsignor William Kerr, was called to the scene to speak to the woman. She told him that after Ted Bundy had killed two of her sorority sisters and severely harmed two others, he opened the door to her room, ready to kill her. Oddly, when Bundy opened the door and saw her lying in bed, he dropped his weapon and ran away. The young woman told Monsignor Kerr that before she had gone off to college, she had promised her mother that every night before going to bed, she would pray a rosary for protection. That particular night, she had fallen asleep while praying the rosary. The rosary was in her hand when Bundy opened the door and looked at her. Incredibly, when Ted Bundy was on death row, he asked for spiritual guidance from Monsignor William Kerr, the same priest that had talked to the young woman on the night of the murders. In the course of their conversation, Bundy informed Monsignor Kerr that he had no idea why he had not killed the young woman. He said that when he had gotten to her room, he had had every intention of killing her, but a mysterious force prevented him from entering the room, and he dropped his weapon and fled. He didn't know it, but that mysterious force was the rosary! 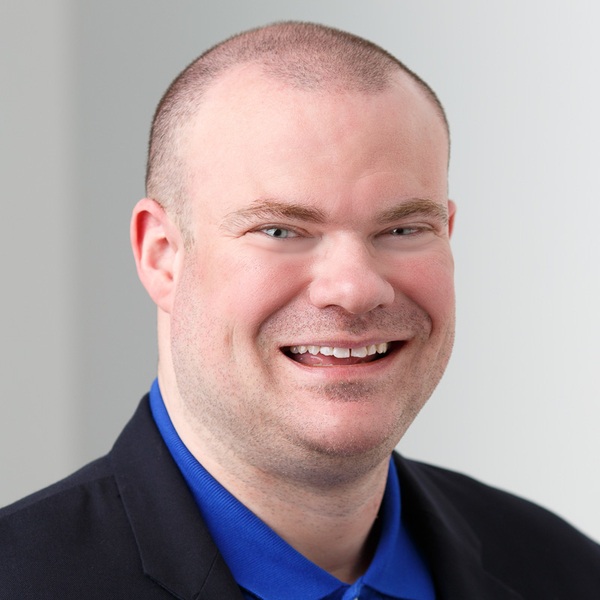 Catholic author Michael H. Brown, editor of SpiritDaily.com, is selling and promoting the book. What do you appreciate most about SpiritDaily.com? Father Calloway: I love SpiritDaily.com and look at it every morning while drinking a cup of coffee. I'm always amazed at how Michael Brown is able to collect such interesting stories and post them every single day. I don't have time myself to go looking for news related to the Church and things I'm interested in, so I greatly appreciate that he does this for so many of us. His website is also a great way to find out about other great books, pilgrimages, and events happening in the Church. Along with my own website, www.fathercalloway.com, SpiritDaily.com has been promoting my new book on the rosary and I am so very grateful for their help.